No car? No problem! If you’re in the market for a new ride, the impending ordeal shouldn’t be as stressful as you’re anticipating. That’s because your choices are rather obvious, especially if you live in the Cincinnati, Ohio area and you’re eyeing a 2019 Ford Escape. The 2019 Ford Escape includes all of the attributes a customer could want from a new SUV, and Kings Ford in Cincinnati, Ohio delivers an unmatched, stress-free buying experience. Before you see for yourself why this nameplate and this dealership are truly the perfect pairing, let’s explore why you should be opting for this particular nameplate in the first place. With so many capable SUV options currently on the market, it can be tough to whittle down your list of targets. However, once you’ve explored everything the 2019 Ford Escape provides to drivers, you’ll start to understand why there should only be one nameplate on your list. The SUV delivers the predictable performance specs, but customers will also be impressed by the lofty efficiency numbers. The vehicle also delivers a number of interior amenities (including cargo space and technology), and the safety functions will keep your occupants secure at all times. Don’t believe us? 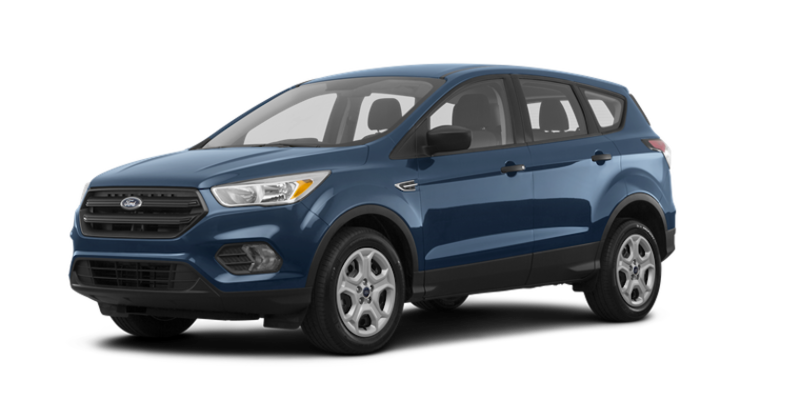 Then see for yourself why the 2019 Ford Escape is the perfect choice for those seeking a new SUV. With three incredible engine options to choose from, customers won’t struggle to find their ideal system as they’re building their new 2019 Ford Escape. Each of the offerings manages to deliver an impressive amount of power, and customers will also be enticed by the impressive fuel efficiency numbers. When you combine these two factors, then you’re eyeing one of the most impressive groupings of engines in the entire industry. The 2.5-liter I4 engine pumps out an impressive 168 horsepower and 170 pound-feet of torque, which is more power than you’d probably expect from your new SUV. However, the system mostly impresses thanks to the 29-mile-per-gallon highway fuel efficiency, allowing drivers to save a bit of extra money at the gas station. Meanwhile, the 1.5-liter EcoBoost engine takes those power and efficiency specs to a new level, promising 179 horsepower and 177 pound-feet of torque. This is all while providing drivers with some of the most impressive efficiency specs in the entire segment at 30 miles per gallon on the highway. You’d be hard pressed to find another SUV engine that manages to deliver this unique blend of power and efficiency. Finally, the 2.0-liter EcoBoost engine is for those seeking the utmost power, promising up to 245 horsepower and 275 pound-feet of torque. Despite all of this muscle, drivers can still anticipate a 28-mile-per-gallon highway fuel efficiency, numbers that are rarely seen in such hulking rides. Ford consistently equips their nameplates with impressive engines, but they’ve seemingly outdone themselves with the 2019 Ford Escape. If you’re going to be relying on your 2019 Ford Escape as a family ride, then you’ll appreciate the assortment of safety functions that are included in the new SUV. Whether you’re seeking preventative or protective safety functions, you can rest easy knowing that the SUV will keep you and your passengers secure at all times. Inclusions like the Lane Keeping System and the Blind-Spot Information System played a big role in the nameplate previously earning a five-star overall safety rating from the National Highway Traffic Safety Administration. These inclusions are intended to prevent devastating accidents on the highway, and they’ll provide the driver with an extra set of eyes throughout their journey. Meanwhile, inclusions like the rearview camera will prove to be especially useful when you’re reversing out of a parking spot, as you can better anticipate any object that’s about to cross your path. If you do find yourself in an accident, the 2019 Ford Escape is equipped with a number of functions that should keep you and your passengers out of harm’s way. The airbags will provide occupants with the necessary amount of cushion, while the sturdy body will keep energy away from the passengers. Ford understands how important these safety functions are, and that’s why they’ve continually equipped their rides with essential features. Their efforts have clearly paid off when you consider the accolades won by the Ford Escape. You’re going to be spending the majority of your time inside your new 2019 Ford Escape, so you might as well enjoy it. Fortunately, the brand’s engineers included a number of amenities that will surely improve the entire driving experience. The brand’s SYNC system is the star of the interior, providing drivers with quick and easy access to an assortment of applications via the 4.2-inch or 8-inch color LCD touchscreen. Thanks to the accompanying Apple CarPlay and Android Auto compatibility, drivers can easily connect their smartphone to the unit, and the accompanying USB ports will allow you to keep your preferred gadget juiced at all times. If you’re going to be enjoying your favorite tunes, then you’ll appreciate the inclusion of the Sony 10-speaker Audio System. Predictably, the SUV also provides drivers with a lot of space to fit all of their cargo and luggage. The 2019 Ford Escape provides 34-cubic-feet of space behind the rear row, and this can be increased to 68-cubic-feet of space behind the front row. Whether you’re relying on the SUV for vacations, school projects, or sports practices, the roomy interior will make it more than easy to store all of your cargo. You won’t have to prioritize any specific interior attribute as you’re shopping for your new SUV. That’s because the 2019 Ford Escape is already equipped with a number of amenities that will improve the entire driving experience. While it probably isn’t atop your list of SUV attributes, the 2019 Ford Escape has been designed to be one of the most aesthetically-pleasing vehicles on the road. A big reason for this sentiment can be attributed to the exterior amenities, including the Bi-Xenon HID Headlamps (with Signature Lighting). These practical inclusions won’t only light up the road ahead of you, but they’ll also allow your SUV to stand out from the crowd. Meanwhile, the clever Panoramic Vista Roof makes it more than easy to fill your interior with fresh air, thus keeping you and your passengers comfortable at all times. If you’re truly looking to make your SUV your own, then you should consider opting for one of the available packages. The SEL Sport Appearance Package adds amenities like 19-inch premium Magnetic-painted machined aluminum wheels, along with a number of black inclusions (like headlamps, taillamps, and grille. The SE Sport Appearance Package also manages to boost the athleticism of your ride, as it adds amenities like 19-inch Ebony Black premium painted aluminum wheels along with black roof rails, a leather-wrapped steering wheel, and a whole lot more. Are you ready to start shopping for a 2019 Ford Escape in Cincinnati, Ohio? Then make sure you’re purchasing that SUV from the area’s premier Ford dealership: Kings Ford. You’ve already zeroed in on the 2019 Ford Escape, and for very good reason. The SUV provides drivers with a plethora of amenities and attributes that contribute to an optimal driving experience. However, if you still want to keep your options open, you’ll appreciate the number of new vehicles that are sitting on Kings Ford’s lot. We are housing hundreds of new vehicles, including cars, trucks, and SUVs. No matter what Ford nameplate you’re looking for, there’s a good chance you’ll find it here. 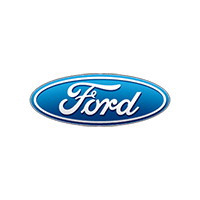 Our array of services will come in handy during every point of the car-buying and car-owning experience, proving why we’re your only choice for new Fords in Cincinnati. The finance department will help out those who are struggling with poor credit. It can be tough for these prospective buyers to secure the necessary line of credit, but Kings Ford will be more than willing to finance your upcoming purchase. The helpful and knowledgeable finance team will also assure that you’re opting for a payment plan that doesn’t break the bank. Furthermore, the service department is focused on getting your 2019 Ford Escape back to tip-top shape. 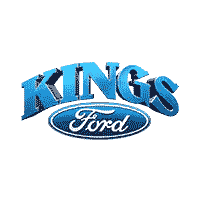 If you come across any mechanical issues with your new SUV, you can simply stop by Kings Ford for all necessary repairs and maintenance. There’s even a parts department, allowing you to complete any maintenance yourself. Finally, you don’t have to miss work or important obligations in order to visit Kings Ford. That’s because our flexible hours and locations means you can anticipate an easy-in, easy-out buying experience. Our sales department is open seven days a week, and doesn’t close until 8pm during the work week. If you can only carve out the necessary amount of time to visit after work you’ll still have more than enough time to peruse the business’s inventory. Best of all, the dealership is incredibly easy to find. Located right on Interstate 71 in Cincinnati, you won’t have to waste your precious time attempting to find the facility. Rather, you can easily roll into the dealership and better focus on your impending purchase.